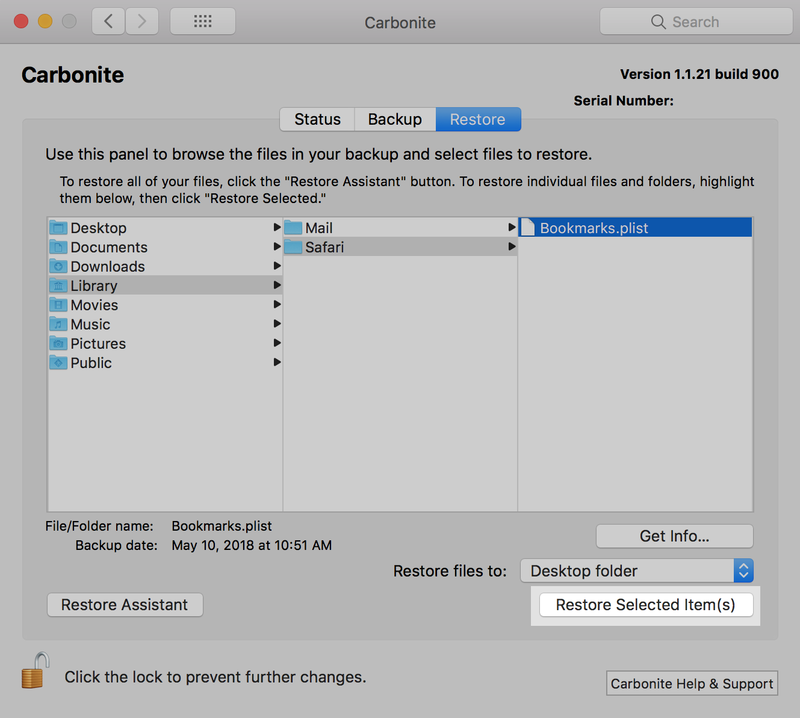 Please determine your Mac version before following the instructions below. .
You can test the restore feature of Carbonite by deleting and restoring a backed up file. Locate a backed up file on your computer (there will be a green dot on the file within the Carbonite Preference pane to indicate that it has been backed up) and move the file to your trash. We recommend creating and backing up a test file for this procedure. 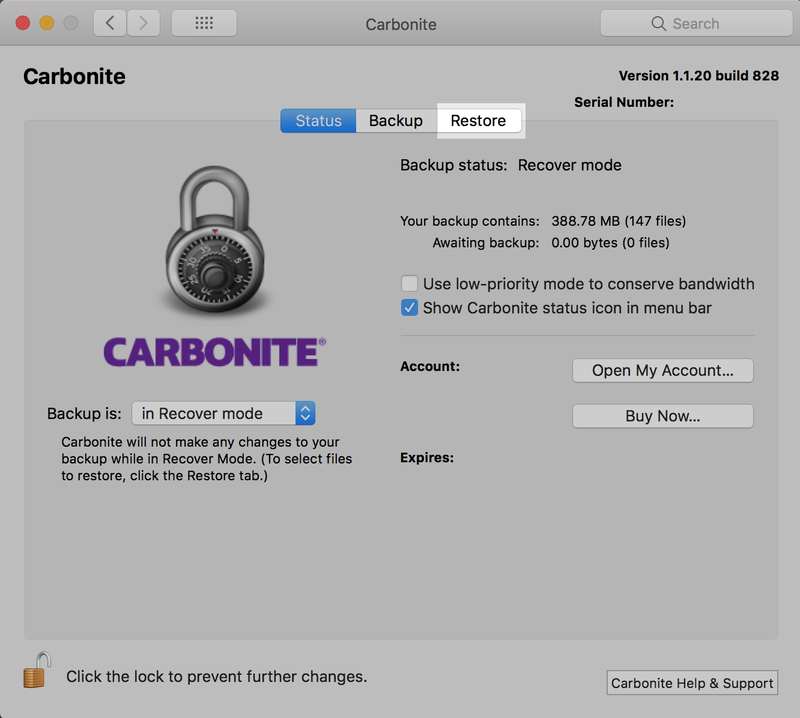 Click the Restore tab of the Carbonite Preference Pane to view the files in your backup. Navigate to the file you wish to restore. Once located, select the file and click Restore Selected Item(s). In the window that pops up, select Restore to Original to restore the file back to where it was located. After the restore has completed, ensure that your file has successfully returned to your computer. Locate a backed up file on your computer (there will be a green dot on the file within the Carbonite User Interface to indicate that it has been backed up) and move the file to your trash. We recommend creating and backing up a test file for this procedure. 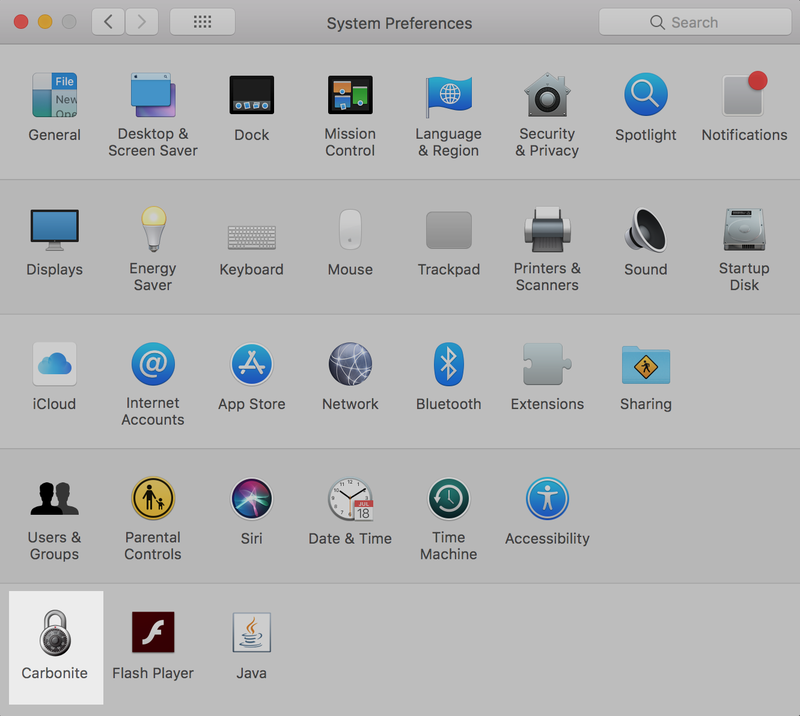 Click the Carbonite icon in the menu bar and select Open Carbonite. 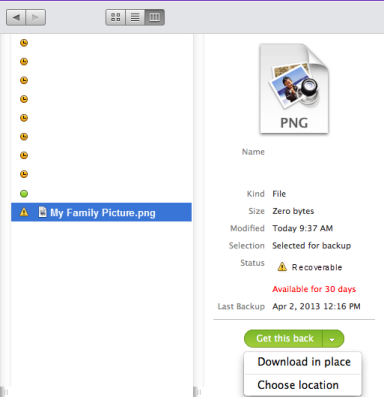 Within the Carbonite User Interface, locate the deleted file through the MY FILES for DRIVES sections. The file will have a yellow triangle with an exclamation point in it. 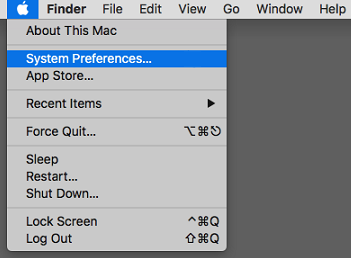 Click the Get this back button to restore the file to your computer.